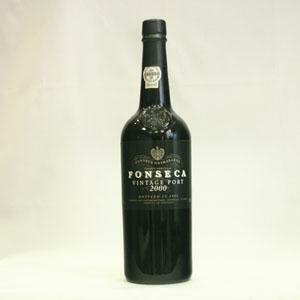 Fonseca Porto is the maker of this Fonseca Vintage 2000 (£199.89), a fortified wine from Port with a blend based on tinta çao, tinta roriz, touriga nacional, touriga francesa, tinta barroca, tinta amarela and tempranillo of 2000 and has an alcoholic strength of 20.5%. 4 of 5 points is the average score of this fortified according to Uvinum users and with the following scores: robert parker: 96 and wine spectator: 94. Do you know where the famous port wine Fonseca Vintage 2000 is produced? In the Upper Douro Valley, one of the most beautiful wine-growing regions in the world. The character of the port wine comes from a combination of soil, grape variety and climate. The vines are planted in stony slate soils, which give the wine a very special taste, on steep slopes overlooking the river Douro. The best way to enjoy the Fonseca Vintage 2000 to desserts! You're gonna love this port. Velvety, ample and chewy on ripe, firm tannins that support a long fruity finish. I thought I had a dull color. Compared with other Porto was rough. Not recommend taking this generous of Fonseca with meat. You can find it online on Uvinum. It has a dense colour. Balanced in the mouth. 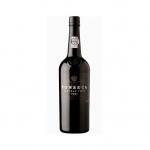 The Fonseca 2008 young wine I have found it on sale online. It had a deep colour at first sight. Drinkable. 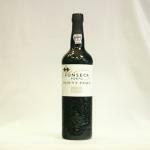 If you want to buy Fonseca Vintage 2000, at Uvinum you will find the best prices for Port fortified wine. You can buy it at Uvinum, easy, quick and safe. We offer a catalog of more than 59.000 products for sale becoming this way the biggest online shop to sell wine, beer, and spirits in Europe with more than 38.000 customers who trust us.